Everytime I try to upload a zip file to the alpha channel, nothing happens. I select a file from my hard disk and after that the dashboard layout is displayed without any content. I tried different builds and browsers, but nothing made a difference. Yesterday everything worked just fine, so I assume something on the Oculus servers is wrong today. I also tried to report a bug, but got a "Bug Report Submit Error - An unknown error occured. - Error Code: 1 - Trace ID: Bmr43RWDvMI"
same to me... I cannot upload any file to any channel. I've tried with Chrome and Firefox, resetting cookies and even restarting computer. 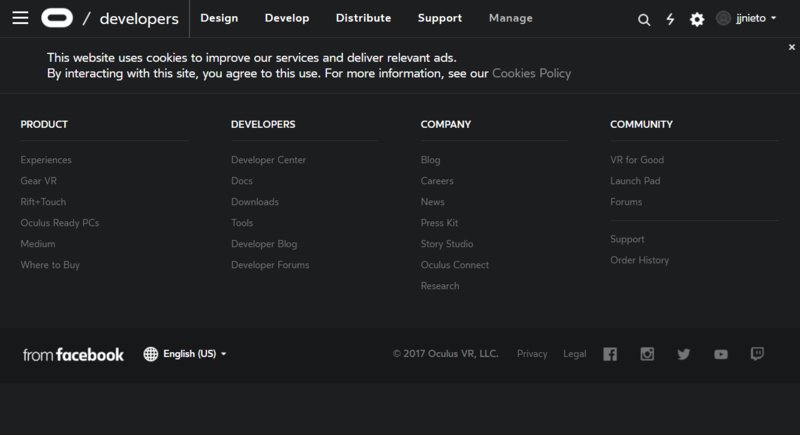 It looks like an Oculus submision web fail. Please, any help on that? The screen looks the same for me. Still cannot upload. Do you have an idea of when the bug will be corrected? I tried again today and now it works for me. Thanks! +1 Now works for me too! !